A unique exhibition. Over 6 million visitors worldwide.  Here you can find practical information such as prices, hours and directions. Open daily at Premier Exhibitions 417 5th Ave. at 37th Street. That’s New York’s new exhibition center, just a stone’s throw away from Grand Central or the Empire State Building. How to find us. Every Monday you pay as little as $15 plus tax per ticket. The best value for money is our family ticket for four people for just $65 plus tax. As long as there aren’t more than two adults, many combinations are possible: for instance mum, dad and two kids; grandma with three grandkids; or even aunt and uncle with nephew and niece. We have concessions and offer discounts for schools and groups. Come to the box office, or book here. Facebook is our news stream. Several times a week on Facebook, we provide information about our events (family tours, Museum Hack tours, Family Sundays); videos, photos and blog posts curated by our Egyptologists; press reviews; and fun facts. After the landmark exhibitions featuring original Tut artefacts some years ago, New York is once again in love with King Tut, this time thanks to our spectacular reconstruction of the pharaoh’s tomb, with 1,000 replica objects. On our website, we’ve compiled the opinions of reviewers for you: “Although the objects in The Discovery of King Tut are not the real thing, the sheer epic nature of reproducing them in such detail is breathtaking.” Read more. The exhibition is open every day. Ends May 15th, 2016. Easy walking distance from other great Big Apple landmarks. Just 4 blocks from Grand Central Station and 4 blocks from the Empire State Building. Final Days in New York City! Extended hours to 10:00pm (last ticket sold: 9:00pm) on Friday’s and Saturday’s beginning May 6th! 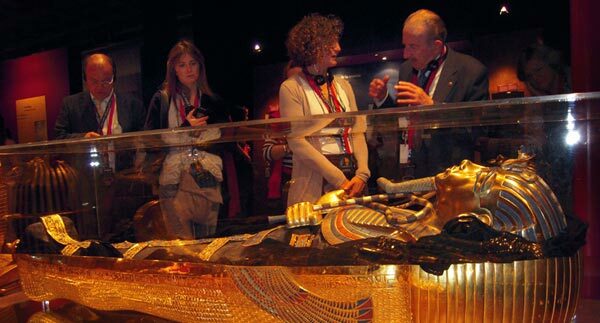 Last day to explore The Discovery of King Tut is Sunday, May 15th. Buy one adult ticket and get one child ticket for free. Present this coupon at the box office. Offer is good up to one adult ticket prices. Not valid on previously purchased tickets or applicable on any other offers. Subject to availability. Black out dates apply. Offer expires 5/15/2016. May 6/7 and May 13/14 open until 10 pm. Last ticket sold 1 hour before closing time. For visitors to the New York exhibition there is a multi-voiced audio guide included in the price of admission. The guide was developed as a series of dialogues based on the records of the explorer Howard Carter. 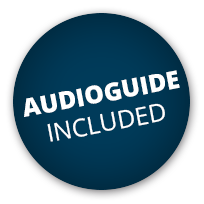 The audio guide is available in English, Spanish, French, Italian and German. For children up to age 12, a children’s version is available in English, Spanish, French, Italian and German. No with the exception of service animals. Premier at 5th Avenue is fully ADA compliant. There are handicapped restrooms at the exhibition. Motorized and non-motorized wheelchairs are permitted. 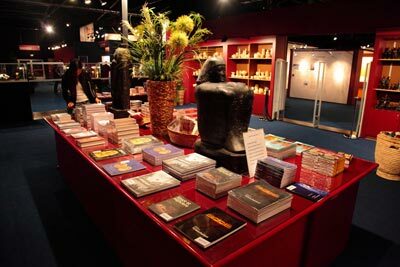 In the gift shop you can find jewelery, gifts and selected specialist books on Egypt. Explore The King Tut Store online for exceptional replications of select artifacts, giftware, collectibles, and jewelry.